David Michael Hasselhoff (born July 17, 1952), nicknamed "The Hoff," is an American actor, singer, producer and businessman. He is best known for his lead roles as Michael Knight in the popular 1980s U.S. series Knight Rider and as L.A. County Lifeguard Mitch Buchannon in the series Baywatch. Hasselhoff also produced Baywatch for a number of seasons in the 1990s up until 2001, when the series ended with Baywatch Hawaii. 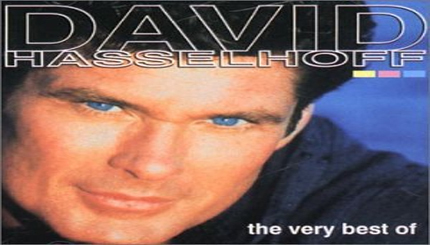 Hasselhoff also crossed over to a music career during the end of the 1980s and the early 1990s. He was noted for his performance at the Berlin Wall in 1989; he enjoyed a short lived success as a singer primarily in German-speaking Europe. More recently, Hasselhoff has been involved with talent shows such as NBC's America's Got Talent from 2006-2009.